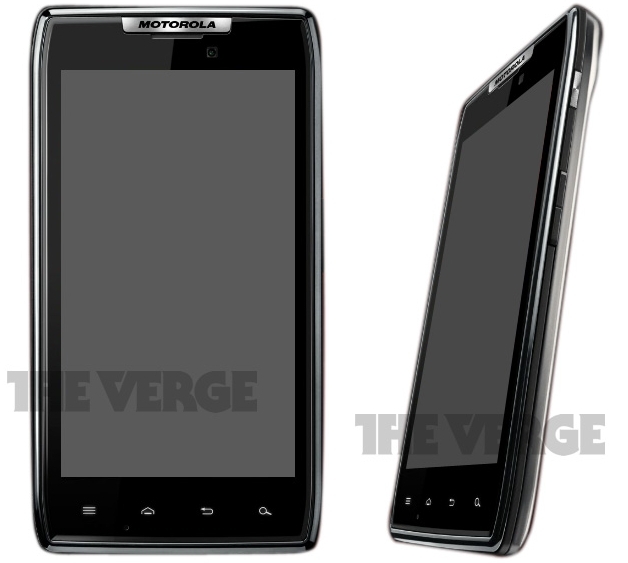 A tantalizing new Motorola smartphone has just leaked through the taps of the interweb. Called Motorola DROID RAZR, the device is packing some serious kit in that sleek Kevlar and Gorilla glass body. First of all, it has a 4.3-inch QHD display, but it's not your run-of-the-mill LCD but a Super AMOLED display. There is a good chance that it will be a PenTile-matrix display but most people couldn't care less about the underlying technology when the actual image quality happens to be eye-poppingly good. Other specs include 4G LTE support, dual-core 1.2GHz processor, 1GB RAM, 8 megapixel camera with 1080p video recording and image stabilization, HD front camera and support for Motorola's WebTop accessories. The design looks really attractive and being a RAZR it should be really thin as well. The DROID nomenclature suggests it will be available on Verizon, although there could be a version for other networks and markets (called the Spyder). For more information, check out the source link below. when is the release date,en wat price do we xpect. Nice fone,bt nokia n9 still clings,no retreat.